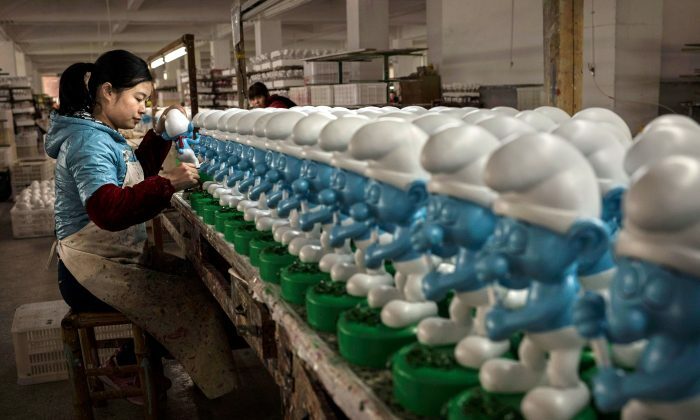 Chinese factory workers producing toys for major brands like Mattel, Hasbro, and Disney continue to work in grueling conditions, with some driven to suicide, according to a recent report by nonprofit China Labor Watch. During the organization’s investigation of the Early Light Toy Factory in Shaoguan City, Guangdong Province, which manufactures toys, clothing, and travel accessories for major brands like Hasbro, Mattel, Costco, and Walmart, two workers jumped from the building. The workers were identified as Yang Zongfang, 38, who was fired after violating a factory rule that forbids workers from allowing other people to use their entry card, and Lin Jinhua, 34, who tried to end his life after verbal abuse by a manager. 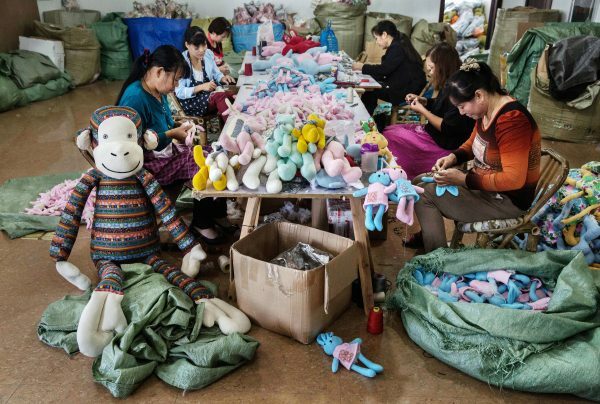 “China Labor Watch has been investigating working conditions in toy factories since 1999, and for over 18 years, this kind of tragedy has been constantly occurring,” the report says. In August, the organization investigated three other factories in Guangdong Province: Dongguan Qualidux Plastic Products, located in Dongguan City, which produces children’s products, like a Fisher-Price high chair; the Dongguan Chang’An Mattel Second Factory, which exclusively produces Barbie dolls for Mattel; and Shenzhen Winson Precision Manufacturing in Shenzhen City, which produces children’s toys like Mattel’s Hot Wheels toy cars. Investigators interviewed around 400 workers and also went undercover to get first-hand information about conditions in the factories. Many of the workers lived in factory dormitories, which were unsanitary and cramped, with eight or more workers in each small room, according to the report. The dorm at Shenzhen Winson, for example, had nine people to a room, with a toilet that required manually filling the basin with water to flush. 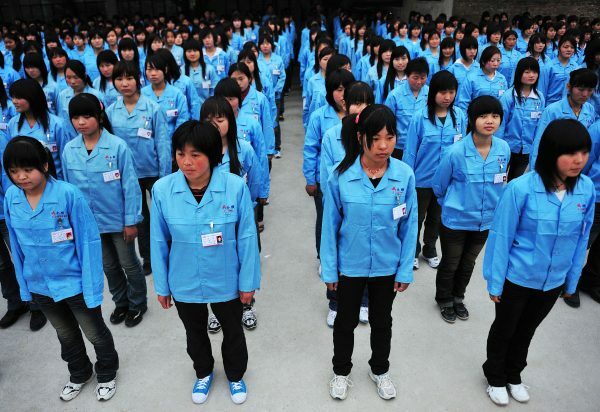 Though the factories follow labor laws that stipulate that laborers work no more than eight hours a day, China Labor Watch found that many workers chose to work overtime to achieve production targets. Without overtime pay, most would only make the base wage of about $250 a month. The organization found that most workers worked for 12 hours a day. All four factories had workers putting in over 80 overtime hours a month, with some clocking in around 140 overtime hours, according to the report. The report included photos of factory workers sleeping near the work area or in the factory’s recreation areas before work. Fire safety was another issue. At Early Light Factory, emergency exits were blocked with piles of products. During the lunch break, some workers also napped near emergency exits and staircases. Meanwhile, both Early Light and Qualidux Plastic Products did not provide adequate protective equipment or other safety measures for workers who used toxic chemicals, such as acetone, according to the report.